A rejuvenated Eamonn Brady hopes months of gym work and practice will reap dividends at the PGA Play-Offs in Turkey this week, writes the PGA. The Clontarf head PGA pro takes on the cream of UK PGA pros in the 72-hole event at Antalya Golf Club’s PGA Sultan course from November 27-30. 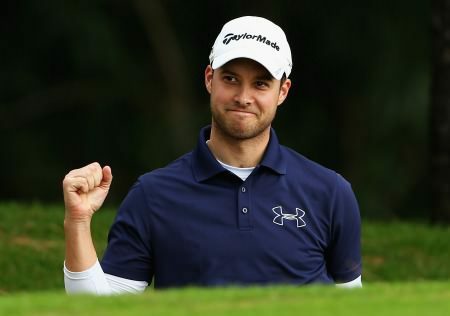 A number of European and Challenge Tour spots up for grabs for the leading finishers in the £15,000 including ten spots at next year’s BMW PGA Championship. Brady, 41, heads to the Turkish resort on the back of a return to form over the summer which saw him capture the PGA in Ireland Order of Merit. But his upturn in fortunes on the fairways, which saw him pip David Higgins (Waterville Links) and Colm Moriarty (Drive Golf Performance) to the Order of Merit, was no flash in the pan, carved out instead on the back of intense winter practice and regular gym sessions. “I turned 40 last year and I decided to do something with my life and get stuck in so I started training in the gym, practised hard over the winter and did a lot of work with my swing coach (Bryan Omelia) and a sports psychologist and did everything properly for a change,” he said. Brady, a three-time PGA Europro Tour winner and winner on the Canadian Tour, blamed a mid-life crisis for his leap into action but is delighted with the fruits of his hard labours. “Working hard feeds on itself, the harder you work the more you get out of it. I never thought at my age I would be putting this much work in to my golf. His exploits are keenly followed by members of his club while his uncle, the ex-Arsenal legend Liam, is another who will be wishing him well. “Balancing the shop and lessons with playing more events was hard but the response from the club has been great,” he added. The Play-Offs features a 25 man field comprising the top three from each of the PGA’s seven regions plus the Titleist & FootJoy PGA Professional Champion and runners up plus the Galvin Green PGA Assistants’ Champion. Colm Moriarty made the most of a lightning quick start to take a first round lead in the PGA Play-Offs over a weather-beaten PGA Sultan Course. Leading trio Colm Moriarty, David Higgins and Eamonn Brady will tee it up in next May's BMW PGA at Wentworth. Richard Wallis (above) is tied for the lead with David Higgins with just 12 holes to go in the 54-hole PGA Play-offs. Picture: Matthew Lewis/Getty ImagesDavid Higgins will go into the last 12 holes of the weather-reduced Titleist PGA Play-Offs tied for the lead with defending champion Richard Wallis and gunning for revenge. Richard Wallis with the Titleist PGA Play-Offs Trophy. Picture: Matthew Lewis at Getty ImagesDavid Higgins might have suffered a late collapse but he still declared it “Mission Accomplished” as he secured precious European Tour starts and a place in the PGA Cup side after finishing second to Richard Wallis in the Titleist PGA Play-Offs in Turkey.